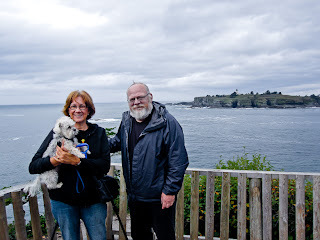 We have enjoyed following the blogs of our friends Bob and Linda about their trip to Alaska this summer. If you haven't been following you can go here for Bob's and here for Linda's. They just arrived back in the states after a trip of over 6000 miles. 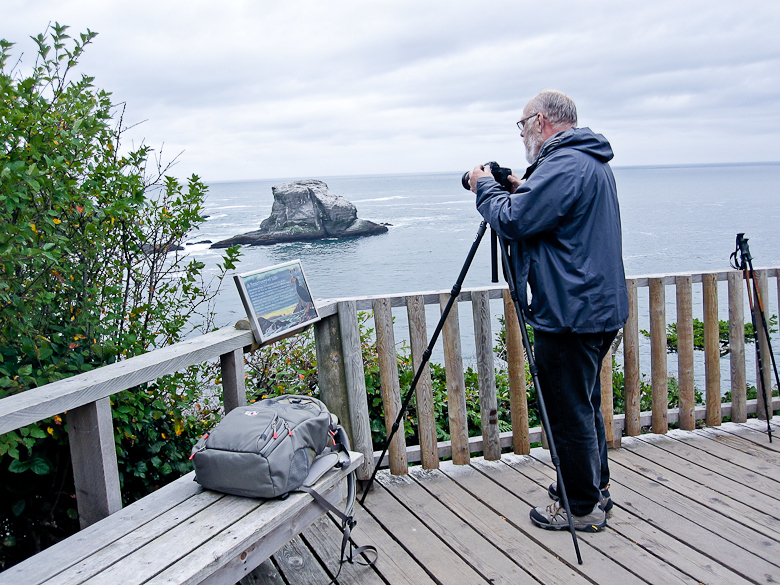 Whenever we read about intrepid travelers like them it gets us in the mood. So we decided to head Northwest ourselves. 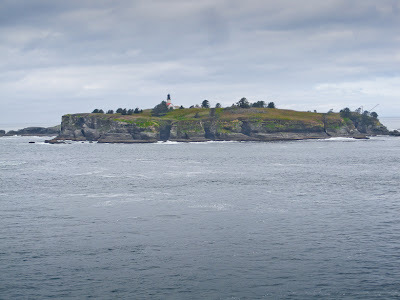 We chose as our destination the northwestern most point of the contiguous United States, Cape Flattery. Had we wished to travel to the western most point we would have gone to Cape Alava, south of Cape Flattery. 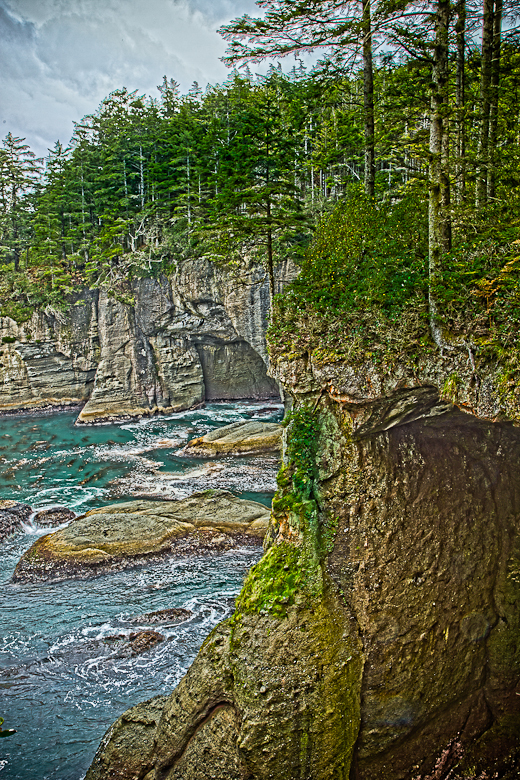 It is 360 feet more west than Cape Flattery. 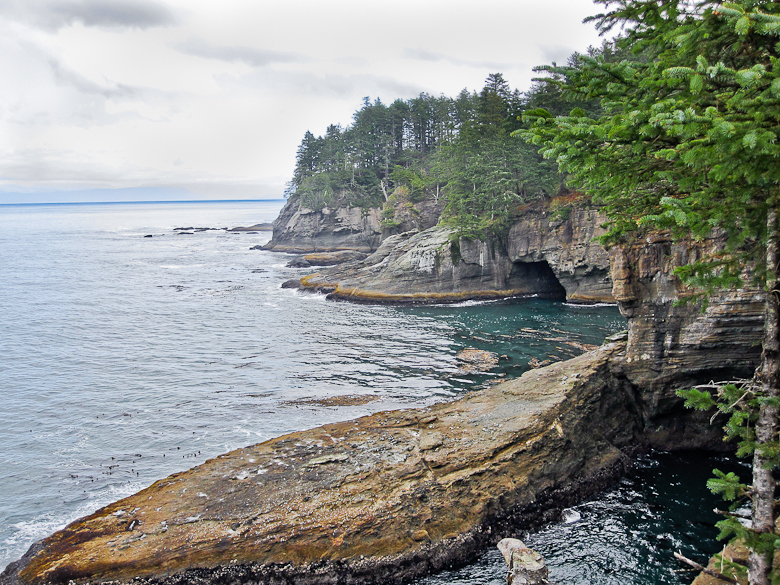 But since we were in the mood for the North West it was off to Cape Flattery. Judy packed our provisions, and since this was a day trip, she packed a lunch. We loaded up our trusty vehicle aptly named Explorer and headed out. We even brought Mollie along, since she was anxious to share in our adventure and perhaps leave her mark as an intrepid explorer. We headed west on 101 to Port Angeles. It was there the adventure really started. 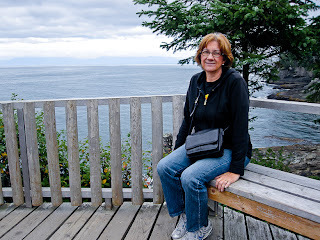 There was lots to see in the harbor town of Port Angeles, large ocean freighters, the ferry to Victoria and lots of fishing boats. But our real destination lay to the NW. So we left 101 to head NW on 112. This was a curvy up and down road that lead us through the small villages of Joyce, Clallam Bay, and Sekiu. The road wandered up and down through the mountains and would occasionally dip down to hug the waterline of the Straits of Juan de Fuca. At one point we considered turning back when our GPS quit working after dropping on the floor during a particularly treturous turn. But Judy, prepared for such an emergency, pulled out a map and so we continued on. 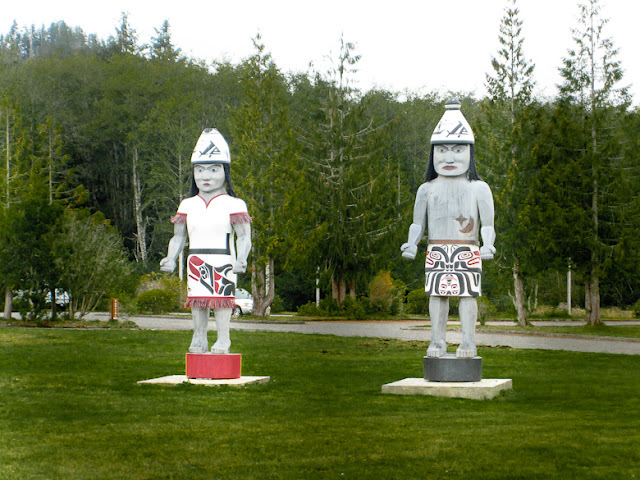 We arrived safely in the town of Neah Bay, also the headquarters of the Makah Indian Reservation. Since our destination was on the reservation we needed to pick up a recreation permit. Permit in hand we motored through the town of Neah Bay, past the Presbyterian church and senior center, and on to Cape Flattery. After another 4 miles the road came to an end short of our final destination. 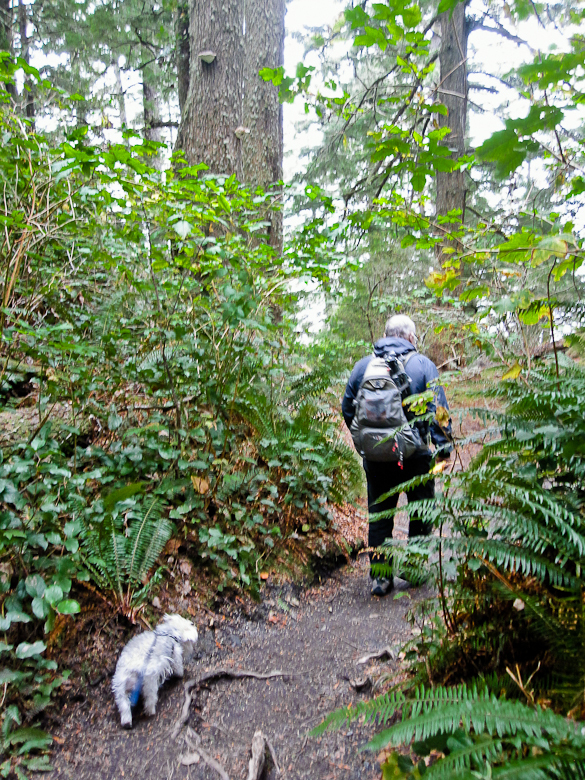 Mollie led the way down a steep 3/4 mile trail to our final lookout point. The scenery was breathtaking. 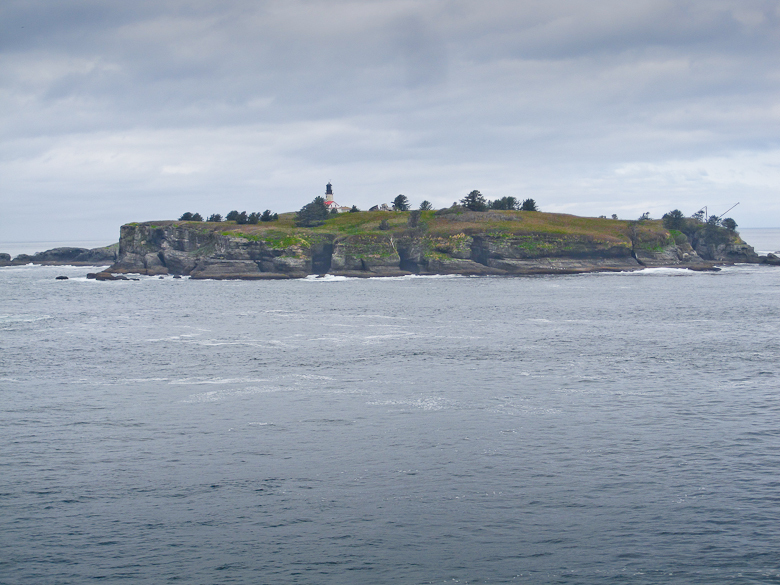 Just off the cliffs was the The Cape Flattery lighthouse on Tatoosh Island. The lighthouse is closed to the public so we settled for a long distance view. After taking a few pictures it was time to head back. Why is it that every time you go down a steep trail, you have to come back up? And yes, true to her word, Mollie did what few dogs can claim to have done. She left her mark not once but twice at the most northwestern point in the continental United States. 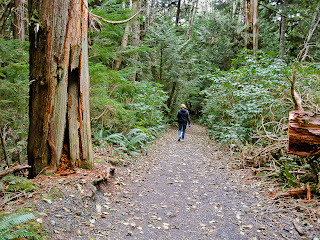 We retraced our steps and motored back down highway 112. 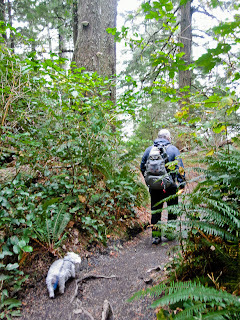 South of Neah Bay we found a little spot to pull over and enjoy the lunch Judy had prepared. With the engine off we sat listening to the surf as we ate our sardine salad and carrot sticks. After a reset, our GPS returned to life and we retraced our path home. We arrived home just in time for happy hour. We toasted our good fortune, me with a glass of Bourbon on the rocks, Judy with red wine, and we shared some pistachios. 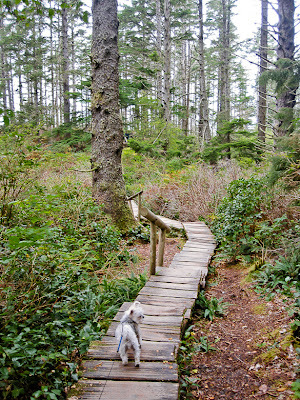 Just another day exploring our little corner of the great northwest. 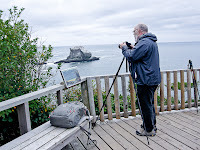 If you would like to see more of my photography you might enjoy my new blog Camera Vagabond. I put one new image up each day. These may be classic black and white, color landscapes, or abstract impressions. Eventually I might even write about them, but for now just one new image each day.